Fernweh is German for wanderlust, the desire to explore, and exploring has never been so easy. Let your wine glass be your looking glass, and sip your way through the German countryside without ever leaving the comfort of your home. Winemaking in Germany focuses on pure fruit flavors, which is why most German wines are sweeter and have more fruit notes than other wines. But with changing flavor preferences, German growers and producers are expanding to drier wines. Germany’s climate is cooler than many wine-producing regions. Growing grapes is more challenging in Germany compared to Mediterranean wine regions due to overall lower temperatures, less sunshine and more summer rainfall. However, the challenges are not without rewards: The grapes ripen more slowly in these conditions, allowing them to retain their fruity acidity and fresh, crisp flavors, which are trademark features of German wines. Germany is known for producing white wines, of which Riesling is the most popular internationally. 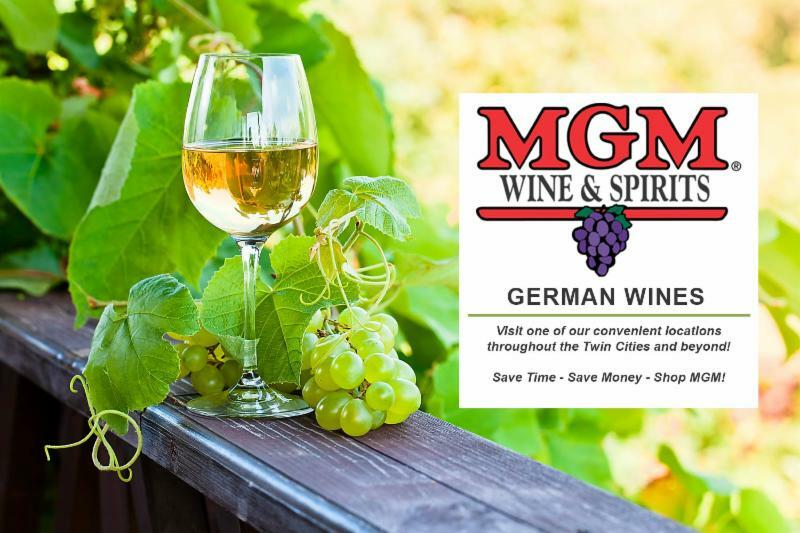 Riesling wines have more fruit-based flavors such as peach and apple, and Gewürztraminer wines, the other predominant German variety, have a hint of spice and more floral flavors and aromas, reminiscent of flower garden fragrances. This grape produces wines with good acidity for a lively, fresh quality and varying degrees of sweetness, ranging from bone-dry and off-dry to intensely sweet late harvest versions that, while sweet, are not cloying. With low or medium acidity and a sweet touch, it can be a delicious dessert wine. Gewürztraminer’s nose includes floral, honey and spicy aromas. The Gewürz part of the name means “spice” in German, which is one of the prominent characteristics of this distinctive wine. For an affordable Gewürztraminer, try Starling Castle’s, which has rose petal and apricot hints. Traditionally a sweet wine with citrus and stone fruit flavors, Rieslings can be some of the sweetest wines in the world. But dry Rieslings are now more widely produced due to diversifying taste demands. The finest Rieslings come from the Mosel or Rhinegau regions. For a high-quality Riesling, try a bottle of Starling Castle from the Mosel Valley region of Germany, with flavors of citrus and pear plus a crisp acidity. Starling Castle also offers a Riesling Moscato if you prefer a sweeter wine. Riesling is broken down into quality categories, Qualitätswein, which contains the category of Prädikatswein that is further divided into sweetness categories. Understanding this classification system is the key to finding the perfect German Riesling for your tastes. Qualitätswein: A quality classification of German wine, Qualitätswein or QbA requires a minimum grape ripeness and single-origin bottles, which use grapes from only one of the 13 regions in Germany. These wines get their sweetness from chaptalization, adding sugar to the wine before fermentation, which increases the post-fermentation alcohol level and adds body to otherwise light wines. Because of chaptalization, these wines are daily staples and go well with simple foods. Bex Riesling is a refreshing QbA from the Nahe Valley region. It is distinctive and juicy with peach, apricot and mineral notes, garnished with tangerine and lime flavors. Prädikatswein: This subcategory of Qualitätswein includes wines with special attributes. Prädikatswein are particularly sweet because they use fully ripe or late-harvest grapes, creating a range of wines from the relatively dry Kabinett to the sweetest Trockenbeerenauslese. The wines are produced with no chaptalization, meaning that they are made naturally with no sugar added during the fermentation process. The six categories of Prädikatswein are listed below from driest to sweetest. Trocken: As taste preferences change, dry Rieslings, labeled Trocken, have become more widely available. These varieties with crisp, fresh fruit flavors and higher acidity are now the preferred wines in Germany over the customary sweeter Rieslings. Halbtrocken: Halbtrocken, “half-dry,” wines are not as sweet as a traditional Riesling, but not as dry as the Trocken varieties. Feinherb: Slightly sweeter than Halbtrocken varieties, Feinherb wines balance on the fine line between sweet and dry. A glass of any Feinherb wine is intense, with rich, ripe fruit flavors that do not overpower into sweetness. Kabinett: These grapes are harvested at optimal ripeness to make a vibrant, acidic wine with a hint of sugar and low alcohol content. This fresh, light variety is perfect for a hot summer day. Selbach-Oster Riesling Kabinett transitions easily from summer to fall with intense spice and a concentrated, ripe apple core. Josef Friederich Riesling Kabinett is summery with a crisp nose and light, fruity floral notes. This is an excellent patio wine for a warm summer night. Spätlese: As a late harvest Riesling variety, Spätlese is sweeter than Kabinett. A bottle of Spätlese has vibrant balance and rich depth without the brightness of Kabinett. Josef Friederich’s Riesling Spätlese has juicy, red apple notes, which will transition perfectly from summer to fall. It is a deeper wine, without being overly complex, that has a stronger body than other Riesling variations. Auslese: Extremely ripe or over-ripe grapes, hand-selected from the vine, make this variety of intense, sweet wines. These bottles age well and have very low acidity. One of the most prized collector’s white wines is one of the sweetest Rieslings: the 1976 Egon Müller Scharzhofberger Riesling Trockenbeerenauslese from the Mosel Valley. Sold on average for over $14,000 per bottle, the wine drives a high price tag because of its quality and exclusivity. 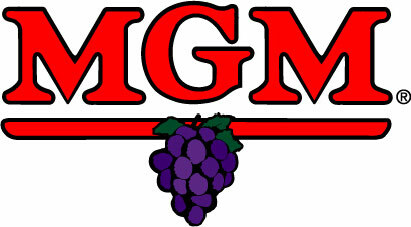 The grapes are selectively hand picked, and only 100 to 200 bottles are produced from the Egon Müller vineyards each year. The bottles are rarely released to wine merchants, but instead are sold at select, exclusive auctions in Germany. 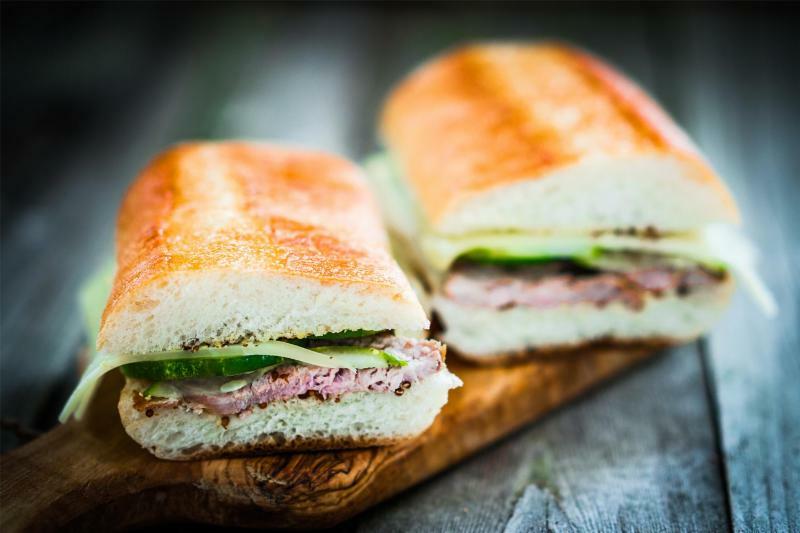 This popular Cuban sandwich has a short prep time, making this an easy meal for casual wine nights with friends. Pair this pork Panini with Gewürztraminer and switch the Swiss cheese for Muenster for an even better match. This will also pair well with a Feinherb Riesling because of the lighter pork and ham with the spices of mustard. Split the sandwich rolls in half, and spread mustard and mayonnaise liberally onto the cut sides. On each sandwich, place an equal amount of Swiss cheese, ham and pork in exactly that order. Place a few pickles onto each one and put the top of the roll onto the sandwich. Brush the tops with melted butter. Press each sandwich in a sandwich press heated to medium-high heat. If a sandwich press is not available, use a large skillet over medium-high heat, and press the sandwich down using a sturdy plate or skillet. Some indoor grills may work for this also. Cook for 5 to 8 minutes, keeping sandwiches pressed. If using a skillet, you may want to flip them once for even browning. Slice diagonally and serve hot. 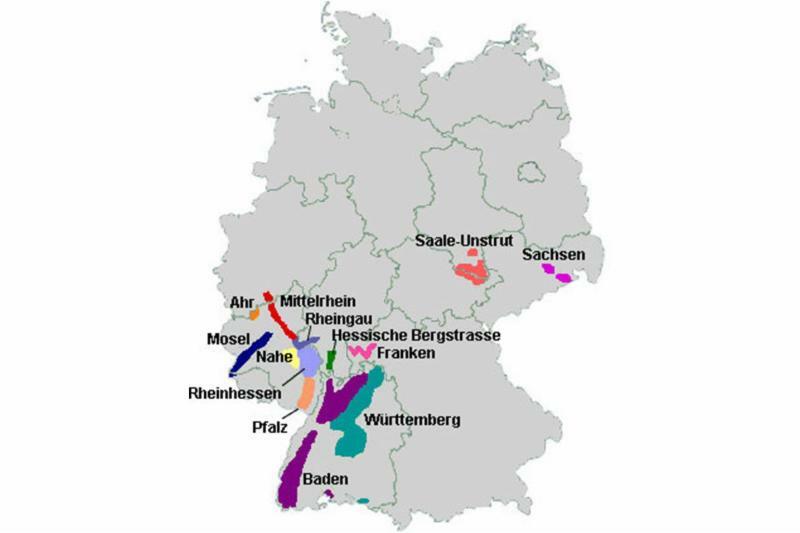 In Germany, the majority of wine grapes are grown in the southwestern part of the country, and white wine grapes comprise more than 65 percent of German vineyards. The most common regions that export to the U.S. are the Franken, Mosel, Nahe, Pfalz, Rheingau and Rheinhessen regions. Take a fermented adventure through the German countryside using this map of the country’s 13 growing regions.